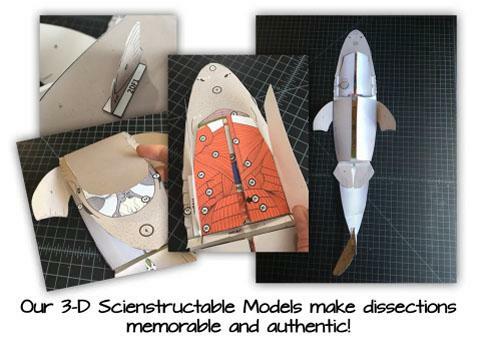 This 3-D shark dissection anatomy model can be used as a dissection-free shark exploration, a pre-dissection study tool, or even as a summative assessment for comparative anatomy. Students will be able to identify and explain the structure and function of the internal and external anatomy of the shark. • Use the provided reading about shark anatomy and prior knowledge to determine the function of 68 shark organs.